Can you spot the advertisements? Have you ever looked up something online and then been followed around for the next few weeks by online advertisements for the very thing you searched for? That online advertising can be creepy and annoying is hardly a controversial statement, and with so many websites relying on ad revenue as their primary income source, it is pretty much everywhere. But even when it’s not being creepy, it can be sneaky. Often, online ads are disguised as regular “content” (which is a lame marketing buzzword for things like articles, news stories, videos, etc.) and if you’re not paying close attention, you could be drawn in, and not all ads lead to reputable sites. The first one isn’t too hard to spot, in the upper-right corner. 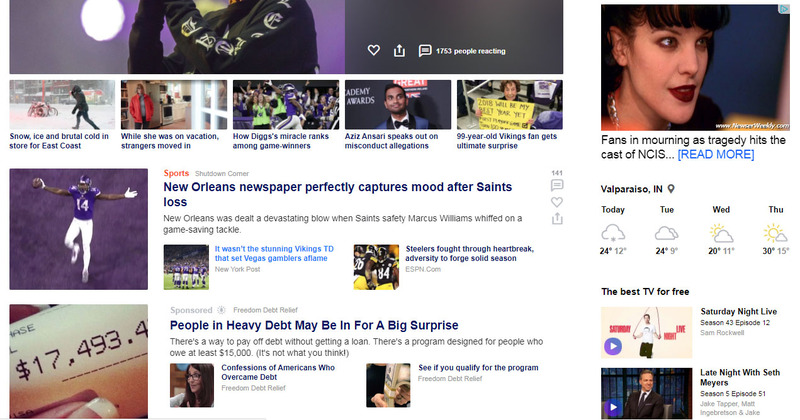 The little blue symbol in the corner of the photo shows that this is an advertisement, and it shows a website other than Yahoo.com at the bottom of the photo. This is definitely an advertisement. But there is another advertisement on this page, and it’s a little trickier. Did you notice the “article” about “People in Heavy Debt…”? This is also definitely an advertisement, just not as obvious. See where it says “Sponsored” above the headline? That’s your cue that the “article” (and the two little sub-articles) is actually an advertisement. It’s easy to see once you know what to look for, but could they get the text color of the “sponsored” disclaimer any lighter? Like I said, I’m offering no commentary on the products, services or websites being advertised in either case. 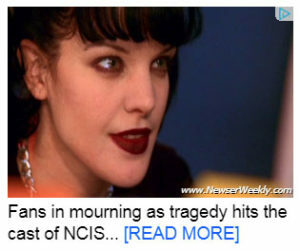 I’m not even saying you should never, ever click on an advertisement. But I’m not a fan of advertising when it tries to dress up as something else. It may not violate any laws or regulations, and it may not be a scam or fraud per se, and yes, if you’re really paying attention you should see the disclaimers, but I feel like everyone deserves to be told clearly and directly that they’re being advertised to. I don’t care how high-tech the delivery system is, most sponsored content is no more respectable than “Be sure to drink your Ovaltine” from A Christmas Story.